The first, much-awaited book dedicated to Sicilian family history research is now available from Amazon and other vendors. First released in Europe in 2013, it established a new Dewey catalogue category in the British Library. 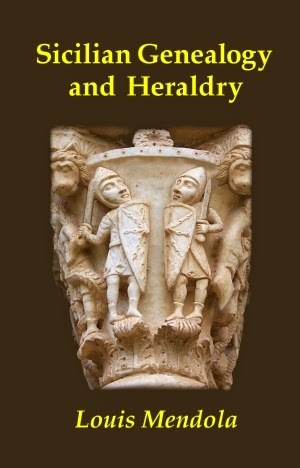 Sicilian Genealogy and Heraldry is a complete guide for the serious researcher and a great general overview for anybody tracing their roots in Sicily. It is equally useful if you're simply exploring the concept of a Sicilian identity. A number of copies have been sold online. Order yours soon as the first American print run was only a few thousand books - but the publisher has informed us that there will be another printing in January.